Wood burning fireplaces provide great atmosphere and put off a lot of heat. The Green Scene in Northridge, CA. 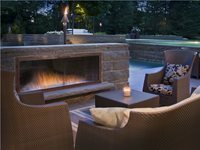 A fireplace fueled with gas doesn't require a chimney and is incredibly easy to light. 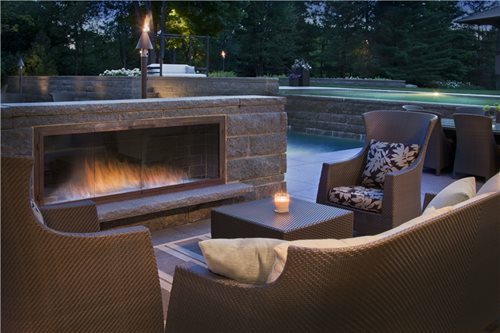 Zaremba and Company Landscape in Clarkston, MI..